Last night, Mike and I went to Hapa Izakaya to celebrate the end of a long week - a week in which Mike completed his internal auditing final (yuck!) and I found out I will be employed past January! We started with beef tataki (above left), which were much thicker slices than before, served with delicious sauce and crunchy bits. Seared tableside was the aburi shime saba (above middle, right), consisting of mackerel sashimi on top of a piece of ginger and rice - the combination was very yummy, even if I normally don't like sashimi. 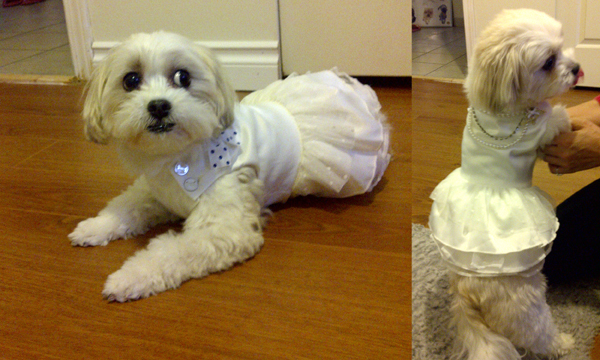 Today I went to visit my mom and Emmy, who showed off her pretty new white dress - complete with pearls and bling. She is such a classy gal. December has rolled around and that means... Christmas decorations are finally allowed to go up! On the left is my little Christmas tree at work with the cute snowman my coworker gave me. 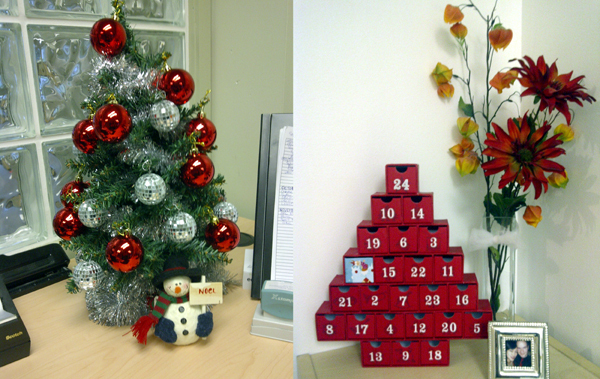 On the right is my loyal advent calendar - Mike and I are going to get our Christmas tree sometime this weekend! 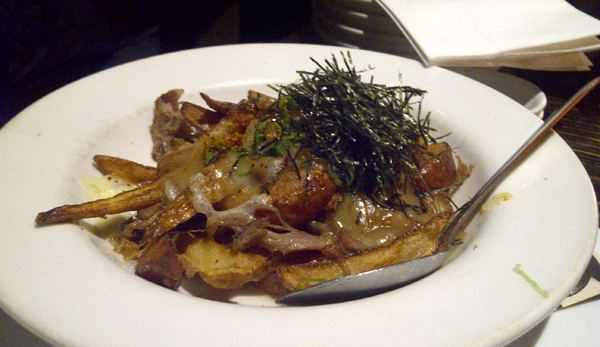 This was the Kitsilano one, it's on the top sheet menu that gets updated frequently.